At Smile Power Orthodontics, we believe everyone deserves to have a smile they're proud of, and our mission is to help patients throughout Walnut Creek and the greater East Bay area achieve one. Our Walnut Creek orthodontist, Dr. Powers, works closely with our patients to design comprehensive treatment plans that fit into any busy lifestyle, and our experienced team strives to make patients feel at home during every appointment. We're proud to treat patients of all ages at our office – and sometimes, the best way to achieve a great smile is to start the treatment process early. Parents often ask us when to bring in their children for an initial orthodontic consultation, and often, they're surprised by the answer. In keeping with the American Association of Orthodontists, we ask parents to bring their kids in for their first visit around age 7. This may seem early, but at this age, the back bite has established itself, which lets our Walnut Creek orthodontist identify both current orthodontic problems and possible issues that may develop down the line. Keep in mind that we won't necessarily begin treatment at this early age. In fact, in most cases, we'll simply monitor your child's development until the appropriate time to start with braces. However, some orthodontic conditions are much easier and faster to treat during childhood – and if that's the case for your child, we'll recommend early orthodontic treatment. Why Would My Child Need Early Orthodontic Treatment? Early orthodontic treatment, also called interceptive treatment, refers to any orthodontic treatment done during childhood, usually from ages 7-9. Most kids don't need early treatment, but there are a few kinds of orthodontic malocclusion (bad bite) that are much easier to treat at this early age. This is because, during childhood, the mouth isn't fully developed. In particular, the two halves of the upper jaw have yet to fuse together into a single bone. This means that we can use an oral appliance called a palatal expander to apply gentle, constant outward pressure on the jaw, pushing the two halves apart. Over time, this stimulates new bone growth in the center, literally widening the jaw and creating more space in the mouth. So which conditions benefit from early treatment? Every patient is different, and ultimately your Walnut Creek orthodontist will decide if early treatment is right based on a range of factors. However, conditions like crowding, underbite, and crossbite can all benefit from early treatment. Additionally, we may recommend early treatment if your child has protruding front teeth, as these are at an increased risk of damage from trauma. Thumb Sucking: The sucking reflex is a natural instinct in humans, and for infants and babies, sucking on a thumb or finger is a harmless form of self-comfort. 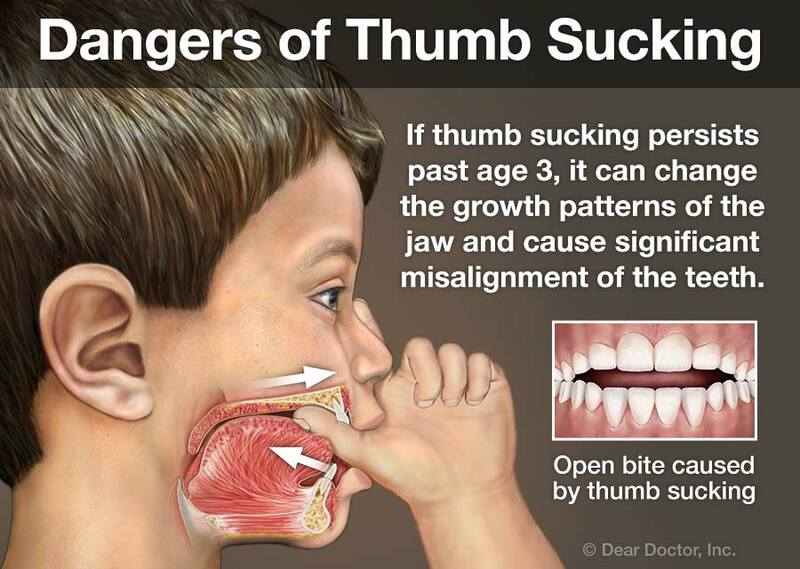 However, if thumb sucking continues past age 4, the pressure it puts on the upper and lower teeth can cause them to jut forward, creating a condition called openbite that impairs speech and bite function. If prolonged thumb sucking becomes a problem, we can use a simple orthodontic appliance to effortlessly, painlessly break the habit. Mouth Breathing: Another abnormal habit is mouth breathing, a breathing pattern where the child's mouth is constantly open, passing air straight to the lungs instead of going through the nose. Over time, mouth breathing can cause changes to the development of the musculature of the face and tongue, and it may even cause jaw problems. We offer a variety of options to help break the habit of mouth breathing. Tongue Thrusting: Finally, some children develop a habit where they push the tongue into the front teeth when they swallow. Over time, this pressure causes the teeth to learn forward, potentially leading to open bite. Similar to thumb sucking, we can break this habit easily and painlessly with an orthodontic appliance. Early orthodontic treatment isn't necessary for every child, but in cases where it is needed, it can make a dramatic difference in the convenience and efficacy of your child's orthodontic care. 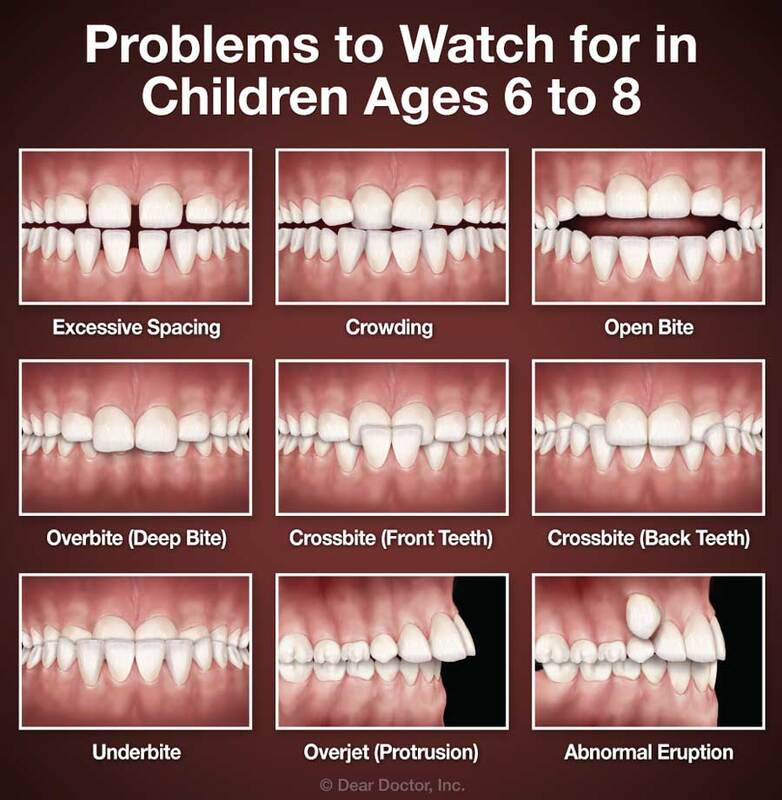 And if you have more questions about early treatment or your child is nearing age 7 and needs an orthodontic evaluation, Smile Power Orthodontics is here to help. Contact us to learn more about early treatment or request your consultation online today. We can't wait to hear from you!